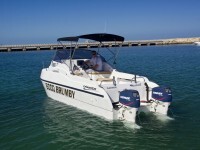 Our range of boats includes patrol and rescue, recreational, pre-loved and brand new. 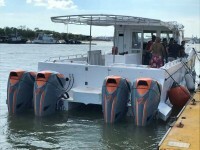 As specialists in the supply of catamarans, we offer a full range of products, and believe we have something to suit all those who work or play on the water. 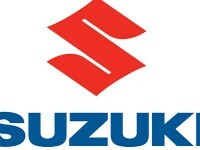 From sea rescue, patrol craft and luxury leisure boats, to pre-loved boats and custom-designed, out-the-box water craft. Western Australia has a stunning coastline and we encourage responsible and qualified people to explore and play there on a variety of watercraft. No matter how experienced or qualified you might be, it’s always comforting to know we have such capable rescue personnel and patrol boats on the lookout for any people in trouble. LeisureCat has many of our boats out at sea doing these very important jobs and we are proud to play our part in the safety and security of Western Australia’s many sea lovers. 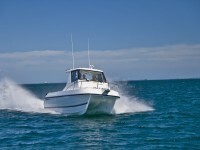 If you love the open seas and want to experience the freedom a day on the ocean can bring, come talk to us. 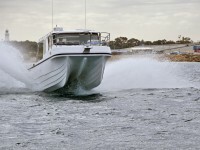 We have a range of recreational catamarans perfect for a family day out or a fishing trip with your mates. Alternatively we can custom design one that is perfect for your specific requirements. We know you love your boat, but sometimes you need to move on to bigger and better, or smaller and smarter. We will help find your boat a new owner and then of course help you replace her with something more suitable to your needs. Browse our range of pre-loved boats for sale, reconditioned and in tip-top condition, ready for use. Need some more oomph for your boat? Time to replace or repower your existing motor with something more powerful? 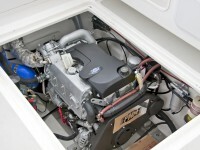 We stock a range of motors for all type of watercraft or we can repower your existing one.